You come home all excited about a new business idea that you had and you want to do it to take the pressure off of your husband’s stress about bringing home the “bacon” and he seems supportive of you at first and when it starts to take more of your time and energy, he gets less and less supportive of you and your new venture? And you’re doing it all for him and the kids after all! Or, you pressure yourself to try to keep the home clean and welcoming but the kids just keep messing it up and when you ask for a little bit of help with the chores you feel like you have to keep nagging over and over again? Let’s talk about the what, the why, and the how you can enjoy a more supportive husband- we’re going to cover it ALL – especially when it relates to you doing your business or your side hustle or whatever it is that you wish to be doing in addition to everything else that you already do! So sip a glass of wine and take notes because if you can implement these next 5 steps in 5 days- you’ll be that much closer to enjoying a more supportive husband in only 5 days! No tricks, just results! When you originally fell in love, you probably didn’t think relationships would be so complicated, especially around money issues. You may have even felt that you were on the same page. Yet, now, you are wondering what on earth happened as you work valiantly to get your spouse on board with your business. Realize, that most hot button issues in a marriage run deep, especially around money. See, money evokes our most primal fears and triggers our survival instinct as it represents our very ability to physically stay alive (think food, shelter, clothing). It’s time to open your eyes and realize that if you want to have bags of money, you need unpack your baggage associated with money. This baggage is what is holding you back from financial success and is getting you in trouble with your spouse. You both bring ideas and judgments about money that you learned growing up. You may have had certain messages drilled in your head about the pursuit of money, the importance of money, or perspectives about people who have or don’t have money. You may have also adopted what your parents modeled for you, even though they did not share their opinions explicitly. Whatever the case, you started packing your money baggage and you have carried it with you ever since. Today’s challenge is to sit down and take time to explore your baggage around money. If you feel safe enough to discuss this with your spouse, you may want to do that you, but please use your discretion. You know your relationship better than anyone else, so you may not want to bring it up just yet. What types of messages did you get about money growing up? Are these messages impacting you in your business or spending habits? As you think about your money mindset and that of your spouse, can you see where some of the friction around money may be coming from? Drop us a line about how impactful your findings are. We trust they will be eye opening. If your spouse is not on board with your business, there is one underlying reason that will explain the tension that your facing- safety, or lack thereof. As we discussed in Day One, each individual brings baggage into a relationship around money and other issues as well. 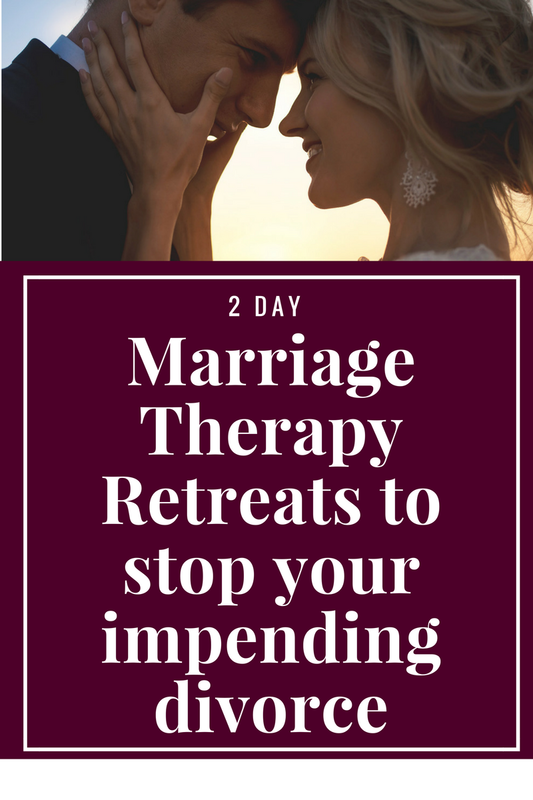 When you trigger your spouse in one of those sensitive areas, your spouse will not feel comfortable listening to you or sharing with you and will become reactive. The manifests itself in one of two ways. You either minimize your energy inward, freezing or submitting like a turtle. Or you maximize your energy, pushing it out and going into fight or flight like a hailstorm. The energy is going to go one way or another and it’s likely that you were attracted to someone who expresses their energy in the opposite way. These reactions are what we call adaptations. It’s how you learned to stay alive emotionally growing up. If you grew up in a home where you did not get your needs met, did not feel heard or seen, you may have needed to make a lot of noise to get noticed. Sometimes that can get ugly. Alternatively, if you lived in a volatile environment, you may have just shut down and disengaged for fear of being hurt even more. When you experience emotional danger as an adult, you do the same thing. The problem is that your reaction triggers the opposite in your spouse. If you go into your shell when you don’t feel safe, you’ll provoke your spouse to get even more aggressive and loud because that “ignoring” is making him/her feel unsafe. And as he/she gets loud, you’ll withdrawal even more. It’s a vicious cycle and the only way to stop it is to create safety. In the next few days you’ll learn some more practical suggestions for how to create safety so that you don’t push each other’s buttons. Notice when you don’t feel safe. How do you react? Like a turtle or a hailstorm? If you catch yourself going into turtle or hailstorm mode today, make a stretch and don’t react as you normally would. Tying into the previous lesson on safety, the following dynamic also hits on the same topic and will help us understand how some of your struggle to get your spouse on board may stem from specific gender differences regarding safety. A homeless man and a homeless woman are interviewed about their feelings about being out on the street with no place to live. What do you think their biggest concerns would be? 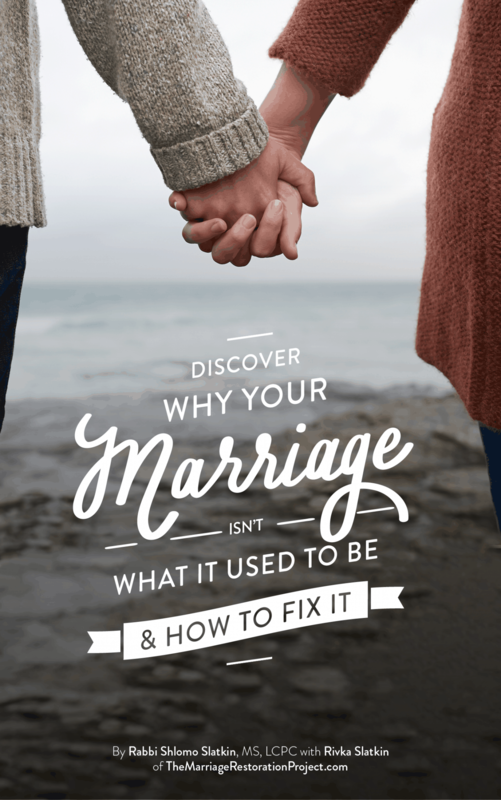 According to Drs Pat Love and Steven Stosny in their book How to Improve Your Marriage Without Talking About It, the feelings of these two homeless people would be very different. The homeless woman’s main emotional experience would be fear, whether it be of freezing to death, starving, or being harmed by someone on the streets. While the homeless man may share some of those concerns, his deepest emotion would be that of shame. Being down and out, he feels like a failure. It is this feeling that is the strongest. We see in relationships, and especially around money issues, this fear/shame paradigm pops up time and time again. Think about what would happen if a husband lost his job. He is hardwired to provide for his family. He feels like an utter failure, like he is incompetent and impotent. His wife’s first concern will be of survival. How will we be able to survive? Where will the money for next month’s mortgage come from? Her own fear will trigger even more shame in her husband, and instead of motivating him to take action, will lead him to feel even more debilitated. Let’s see how this translates to your business. Perhaps you want your wife to share your struggles and support you emotionally. If you are telling her your challenges, that might provoke fear in her and instead of holding the space for you, she may pull away or act out of anxiety and pressure you to take action. Alternatively, if you want to start your own business to help supplement your husband’s income or you want to be involved in your husband’s business and infuse lots of new ideas, if he seems resistant or disinterested, he may be experiencing shame because he feels he should have been able to succeed without you. How does that impact your relationship vis a vis your business? How could you respond differently to get what you want? Making appointments may actually eliminate 50% of your conflict. Because, half of your reactivity comes when you feel side swiped. You may or may not be able to have a conversation about touchy topics, but you sure won’t have a chance of success if you are caught off guard. Getting back to safety and are turtle and hailstorm story, if you are in danger, you will go directly into survival mode. This means, you ask your spouse if he/she is available. Whether you want to have a conversation or even just have a question, it’s always best to be mindful of the other. Think about your intended result and keep the goal in mind. How do you want your spouse to respond? Do you really want to get him angry? Or do you want her to listen or even to change? The most effective way to get results is to catch your spouse at his/her best, when he/she can fully be attentive. This is a stretch for the hailstorms who like to dump on a moment’s notice. It means exercising restraint. It’s also a stretch for the turtles because, even though they have a right of refusal not to be available, they have to give a rain check, preferably within 24 hours. Turtles would rather never talk so be making themselves available at all is a stretch. It’s hard if you had a stressful day at home with the kids and you want to share with your husband the minute he walks in the door, but it is much more productive for you both to set aside the time. Then you can really give your full focus, curb your reactivity, and experience a positive outcome. It will also train your brain to be more intentional when you are sharing, keeping the goal in mind, as well as more respectful of your partner. Whenever you speak to your spouse today, ask if it is a good time, even for a small conversation. Now that you have learned how to make an appointment and set the stage for a safe conversation, let’s take it one step further and learn what to do when you are having those difficult conversations. When you begin to speak with your spouse about money or your business, you’ll notice that the talks are usually not fruitful. Your spouse will react, offer their own opinion, or even be confrontational or disengage. This is because he/she doesn’t feel safe. Whether it is the baggage around money that is being triggered, the fear/shame dynamic, or some other sensitive issue, you will get nowhere on this or any other touchy topic without learning how to have a safe conversation. The Imago Dialogue is a simple, yet profound, tool that will help create safety in your interactions. It will help you share in a respectful way and help your spouse listen in a calm and non judgemental way. So you can actually have a productive conversation. “ I’d like to make an appointment for a dialogue, is now a good time? Then there are 3 parts to the dialogue. Once the appointment has been granted, you can begin talking about the topic, or sharing your concern or frustration. The spouse who is listening must mirror back what the other says. This means, repeating back, almost verbatim without interjection or response. Then ask, “Did I get you?”. If your partner did not get you, restate what you wanted him/her to understand. Once there is no more, summarize what your spouse has shared and ask if it is a good summary. This does not mean you are agreeing; rather you are acknowledging that your spouse has a right to feel the way he/she does. 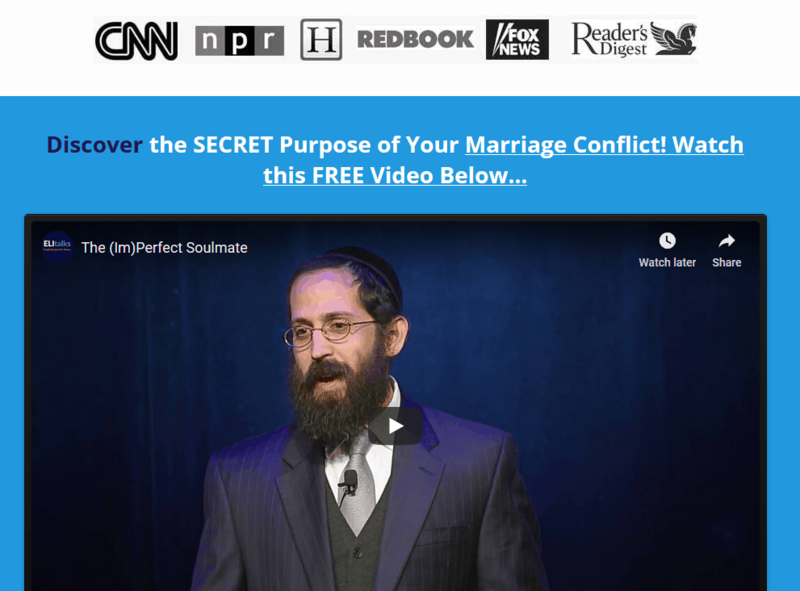 Finally, empathize by guessing how your spouse is feeling about this topic. While you there are some more advanced steps to this process, this will suffice for now. Thank your partner for sharing and you are done. Couples experiencing the same problems and issues over and over throughout the years are amazed at how they are actually able to come up with new solutions and insight after using the Imago Dialogue to have a safe conversation. That’s due to the calm that the dialogue provides. It eliminates all reactivity in both parties, making it possible for you to dialogue using your full brain- not just the fight/flight portion of the brain! What were you able to immediately think about implementing? Even though some of the steps may seem simple or obvious, you’d be surprised at the effect it can have on your spouse. All working to accomplish the ultimate goal of having you feel supported at home and around your business!